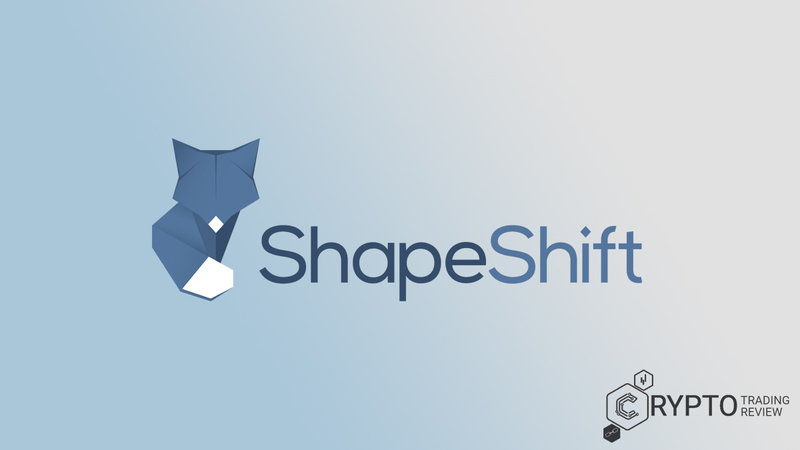 If you know anything about ShapeShift, you know about its stylish fox logo and about its outspoken founder and CEO, Erik Voorhees. Both the fox and Voorhees are very emblematic when it comes to what ShapeShift is all about. Just like the fox, ShapeShift aspires to be smart, fast, subtle, quick-thinking and particularly inconspicuous. In many of his interviews, blog posts and writings, Voorhees himself uses the fox as a metaphor for ShapeShift. Erik Voorhees is very passionate about his convictions. A staunch advocate for privacy, decentralization and deregulation, Voorhees is often hailed as a cryptocurrency philosopher, an anarchist and a Bitcoin ideologue. He was a participant in the Free State Project, which aimed to bring libertarian activist together to pursue their goals of limited government and decentralized decision-making. His strong stance has gotten him into trouble a couple of times, and even now, when he’s trying to keep a low profile, he’ll still use terms like “social serfdom number” and keep in touch with anti-establishment icons like Ross Ulbricht, the controversial Silk Road founder. Even if you don’t particularly care about symbols and the philosophy behind cryptocurrencies, and you are basically just looking for a good place to exchange some coins, ShapeShift still stands out as a great choice if you are looking for a particular kind of service. As a cryptocurrency exchange, ShapeShift is frequently listed near the top, and it is only getting more and more popular. In 2015, when the ShapeShift app for iOS was first released, the exchange had 13,000 orders a month, while now (mid-February 2018) there are nearly 10,000 transactions every day. According to some additional statistics provided on the ShapeShift website, the trade volume on the exchange generally hovers around 1,000 BTC over a 24-hour period ($ 8.3 million on February 11). Considering that the exchange has to process all of that traffic on a daily basis, the average processing time of 5-6 minutes is actually very impressive. Still, an informed ShapeShift review will never be only about the numbers, and waving charts and records around in the air is generally a road to nowhere, since it doesn’t answer any of the important questions that users really care about. Namely, what about the ShapeShift fees? What is the ShapeShift Bitcoin price? Is the official ShapeShift app optimized and easy to use? Is ShapeShift safe? And most importantly, why use the ShapeShift exchange as opposed to some of the more prominent alternatives such as Coinbase, Bitfinex, Kraken, OKEx and others? To that last question, in Voorhees’ own words, ShapeShift’s “claim to fame is that there’s no account or sign up at all.” He compares it to a vending machine, if the vending machine received any payment method you can imagine. Basically, you feed the ShapeShift exchange machine the tokens you wish to trade and the machine sends you back the digital asset you are looking for. Your tokens in, shiny new tokens you want out. The exchange never holds your money or your info like a normal exchange would. According to Voorhees, for consumers this is miles ahead in terms of safety and consumer protection than anything else out there, since the risk of hacking or the exchange operators using your funds or data is basically non-existent. But this is a ShapeShift review after all, and we can’t just take Voorhees’ word for it. With that in mind, let’s get let’s get down to the nitty-gritty of reviewing. Casual users and newcomers might know ShapeShift as an “instant exchange” and a good place to trade altcoins. But that does not quite sum up everything there is to say about ShapeShift. To offer a bit of context, ShapeShift is a Swiss-based company which offers global cryptocurrency trading services, designed as a direct exchange platform between digital assets. The direct exchange part means that cryptocurrency pairs are traded directly, without exchanging one cryptocurrency for a fiat currency like the USD before trading the fiat currency back again for another cryptocurrency. That way, ShapeShift gets rid of the middleman. Also, with direct trading, there is no need to enable the option of buying cryptocurrencies for fiat currencies. The downside to this is that ShapeShift does not have this very popular feature enabled, but on the other hand, there is no hassle with creating accounts, linking credit cards or bank accounts and providing a lot of sensitive private data. ShapeShift’s altcoin reputation is actually quite deserved. The most popular trading pair, unsurprisingly, is ETH to BTC. As far as other trades on the exchange go, Alt to Alt trading is the most popular, accounting for approx. 57% of all orders. Alt to BTC is next up with 24%, followed by BTC to Alt at third with 19%. When it comes to trades ordered by value, Alt to BTC trading is the most lucrative, accounting for 38% of all trade volume, with Alt to Alt second (36%) and BTC to Alt third (26%). 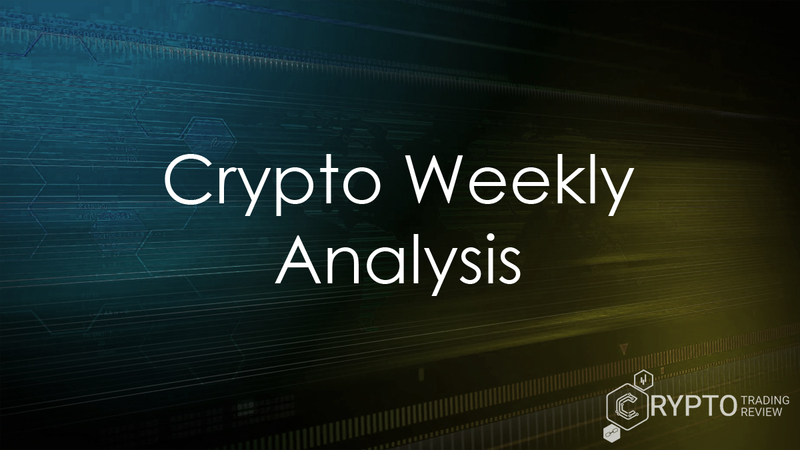 Although Bitcoin was already big and leading the cryptocurrency charge when the ShapeShift exchange was just getting started, over the last two years we have witnessed the rise of altcoins, primarily Ethereum, Litecoin, Ripple, Cardano, EOS and others. ShapeShift fills a distinct niche by offering a fast and affordable way to trade altcoins, while simultaneously focusing on stripping down the process, lowering the fees and offering extra privacy. When it comes to processing times, we have already mentioned the 5-6 minute average, which makes them ‘instant’ for all intents and purposes. Still, in extreme cases, it can take several hours for transactions to get processed. In some cases, this is due to the extreme user demand, while waiting for the respective blockchain networks to verify the transaction is actually a more common source of delays. It is important to note, however, that smaller trades require zero confirmation. Before trading, users should check out ShapeShift’s current minimum and maximum transfer limits, among other reasons because transactions over a certain amount will not be processed. When it comes to availability, the ShapeShift exchange is available everywhere except North Korea and the state of New York. This may come as a surprise to many, especially those who didn’t expect to see these two mentioned in the same context. The reason why ShapeShift is unavailable in New York lies in the state’s stringent set of regulations called BitLicense. The term is also used to refer to an actual business license for cryptocurrency companies and startups, issued by the New York State Department of Financial Services (NYSDFS), which seeks to regulate and define the business activity related to digital currencies. The BitLicense includes a 40-page rulebook for all applicants, which also need to purchase a license for $5,000. BitLicense also requires that all cryptocurrency buyers and traders register an account. Since no signup and no info apart from a cryptocurrency address is needed to trade on ShapeShift, the exchange could not fulfill that requirement without completely changing its identity. In addition, ShapeShift felt that BitLicense was too restrictive and that agreeing to the various terms would hold back technological innovation. So yeah, just like a fox, ShapeShift was individualistic, true to itself and untamable – and left rather than being forced to conform. ShapeShift was founded in Switzerland in 2013 by Erik Voorhees. However, he regularly states that he started the company in early 2014. Either way, it took a year or so for ShapeShift to take off. In early 2015, the company received $525,000 in funding from Roger Ver and Barry Silbert. Barry Silbert is a former Wall Street investment banker and the founder of Digital Currency Group. He also runs a private investment fund that aims to develop the various technologies that make the cryptocurrency space grow. Ver is an early Bitcoin investor and cryptocurrency advocate. Fueled by the investment, ShapeShift released its ShapeShift app for iOS in June 2015. Initially, traders could use ShapeShift to trade between 25 cryptocurrencies and digital tokens. After only a couple of months, in September, ShapeShift already had 40 digital assets for trade, which amounted to 940 distinct cryptocurrency pairs. 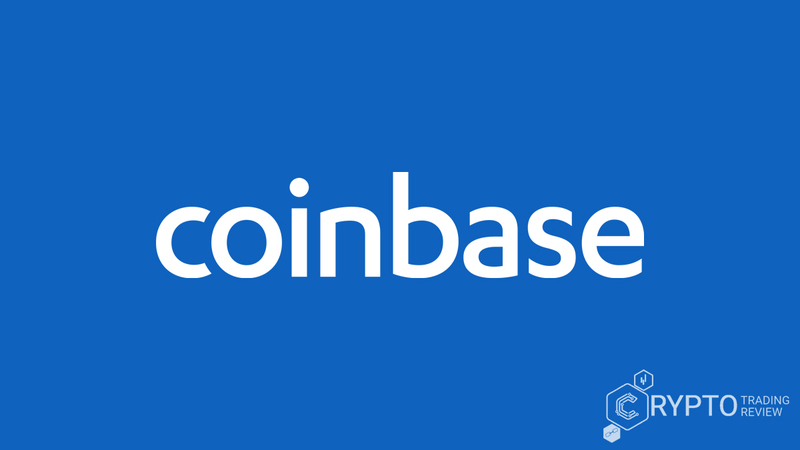 The company’s success attracted new investors, including Bitfinex, Bitcoin Capital, Mardal Investments and the Digital Currency Group once again, which together invested an additional $1,6 million during the second round of funding. There were two more significant events in ShapeShift’s history that ought to be mentioned. First, the introduction of BitLicense in the state of New York, which prompted ShapeShift to cut off service to New York (as we’ve mentioned before). OK, so you don’t really care about the company’s development history, its founders, its principles, any of that stuff. All you care about is the ShapeShift Bitcoin price and the ShapeShift fees and you scrolled down to see how to use their exchange. Don’t worry, this Shapeshift review has got you covered. First of all, as far as the ShapeShift Bitcoin price goes, it is important to say that ShapeShift does not offer the option of buying Bitcoin for fiat currencies, so the ShapeShift Bitcoin price is gauged in relation to other cryptocurrencies directly. ShapeShift’s main purpose is to provide an easy way of swapping between different cryptocurrencies. You want Ether, someone else wants Litecoin, no problem. Just select the cryptocurrency you would like to sell, then select the cryptocurrency you are looking to buy. Put in your address and you’re good to go. Remember to be careful, though! Make sure that the address/wallet where you want to receive the funds actually supports the tokens you chose. If you get it wrong and send Dogecoin to a Bitcoin address, getting them back won’t be easy. Although there are no regular ShapeShift fees, the company does charge an extraction fee if you want to retrieve the funds you’ve mistakenly sent to the wrong address. The good thing, though: there are no emails, no passwords, no signup, no registration, no newsletters, no accounts and no need to deposit your funds on the company’s accounts. Moreover, ShapeShift supports more than 60 digital assets such as Bitcoin, Litecoin, Ether, REP (Augur token), XRP, Dash, Bitcoin Cash and Zcash (no, really). The number of cryptocurrencies supported is growing all the time – for example, NEO is one of the newer additions. Although the ShapeShift exchange process is really intuitive and easy to use, there are some users who might need a few things cleared up. For example, there is an option to choose between Quick orders and Precise orders. Now, what does that mean and why would you want to choose one over the other? Both options are the same in the sense that in both cases the user inputs the receiving address and ShapeShift provides him/her with a deposit address in return. However, with Quick order, that is essentially all you are required to do. You just deposit a certain amount of your altcoin and you receive the equivalent amount of the altcoin you want to buy. However, if you want to buy a specific amount of any altcoin, you can specify the amount you want to buy by using the Precise order. This allows you the exact number of coins you need. Visit the ShapeShift exchange or open the Shapeshift app. Choose the cryptocurrency you wish to sell. In ShapeShift lingo, this is called the “input”. Let’s say you want to sell Bitcoin. Choose the cryptocurrency you wish to buy. ShapeShift refers to this cryptocurrency (the one you will receive) as the “output”. Let’s say you want to buy Ether. Click on the “Quick” option. Enter the address where you wish to receive the funds. This is called the “destination address”. You should enter this address in the top box. Since you are receiving Ether, this is the address of your Ether wallet. If you put in the wrong address by mistake, you will have to pay an extraction fee. Enter your refund address. Since you are selling Bitcoin, if something goes wrong, you will receive your Bitcoin back. That is why this address needs to be your Bitcoin wallet address. In simple terms, the refund address matches the cryptocurrency you are selling, while the destination address matches the cryptocurrency you are buying. Click the checkbox and agree to the terms and conditions. ShapeShift will now generate a deposit address for you. Near the top of the page, ShapeShift displays the minimum amount you are able to send under the “Deposit Min” category. The maximum allowed amount can be seen under “Deposit Max”. Keep that in mind and do not go over or under the respective amounts shown. Send the cryptocurrency you are selling to the designated address. In this case, send the Bitcoin in order to receive the Ether. Wait until the trade is processed. When you choose the “Precise” option at the very beginning, there is an additional step between steps 5 and 6. Before you enter the destination address, first specify the amount of coins that you would like to send or receive. This is the only difference between the two options. Otherwise, if you choose the “Quick” option, ShapeShift will exchange all the coins you send and send back the equivalent amount of the coins you are looking to buy. And basically, that’s all there is to it. Sounds simple? That’s because it is. But we have more ground to cover in this Shapeshift review, so don’t go away. One of the questions that a lot of users want to know is what the precise ShapeShift exchange rates are and how they are calculated. There are even some concerns that ShapeShift is deliberately being shifty and trying to conceal their “extortionate” exchange rates or hide their secret ShapeShift fees by earning a percentage on all trades through the exchange rate. Some of these concerns are valid, especially considering how new and volatile the cryptocurrency market is. After all, you could have an exchange with an extremely high exchange rate, and half an hour later you could come across a different exchange where the exchange rate is much, much lower. It is easy to believe that the first exchange is deliberately trying to swindle you. While that may be the case, there are other things to consider, like the fluidity of digital assets, with prices going up and down by the minute. But one thing is for sure, although the process of calculating the exchange rates that ShapeShift uses is kind of complex, there is nothing secretive or sneaky about it. In fact, Erik Voorhees personally offered an explanation of the ShapeShift exchange rates in reply to an inquiry on r/ethereum, one of the more active cryptocurrency subreddits. His explanation, along with additional details, has also been posted on the official ShapeShift blog on March 23, 2016, almost 2 years ago. So, we can’t really say that ShapeShift has been hiding anything. Voorhees basically said that ShapeShift uses a complex algorithm to calculate its exchange rates by comparing the rates on other exchanges and adjusting the average based on the market depth of a certain pair, as well as ShapeShift’s own coin balances. ShapeShift always has a certain amount of every coin in reserve, which explains why the service is so fast. If you want to trade Litecoin for XRP, you don’t have to wait for someone else who wants to trade XRP for Litecoin. Instead, you buy XRP from ShapeShift’s reserves, and ShapeShift then stores your Litecoin until someone buys it. When different cryptocurrency exchanges offer different prices, ShapeShift always aims to offer a price somewhere between the lowest price and the middle price. In his post, Voorhees also made a point of saying that ShapeShift’s algorithms will usually find the best price faster and more efficiently than users browsing the internet and comparing different exchanges. Trying to do so might end up being completely fruitless, considering how fast the cryptocurrency market changes and how time consuming it can be. What ShapeShift offers are “Instant Rates”, which are displayed near the top of the page, over the “Deposit Min” and “Deposit Max” categories. When you select your input and output cryptocurrency, you can monitor the instant exchange rate at the top of the page. You are definitely given enough time to take a look at the exchange rate and decide how you feel about going through with the trade. To follow up on the exchange rates, there is one last thing our Shapeshift review has to underline: the final exchange rate is calculated when ShapeShift receives your input cryptocurrency. Since it takes a few minutes for your deposit to be received by ShapeShift, there is a slight chance that the instant exchange rate may change a bit during those few minutes. You may either benefit or lose out on the change, but in most cases, the difference is either nonexistent or negligible. As we’ve mentioned before, when you make small trades, the deposits get processed with zero confirmations. When you trade a larger amount of coins, though, you will have to wait for 1 confirmation at least. It is possible to use the same deposit address multiple times. When you reuse the ShapeShift exchange, it will simply send the coins to the same address if you want to. Sending more coins than the “Deposit Max” limit is not possible. If you accidentally send a larger amount, the coins will be automatically returned by ShapeShift to the address you used to send the coins. The same goes for amounts smaller than the “Deposit Min” limit. If the trade fails for any other reason apart from the transaction limits, ShapeShift will return the coins to the refund address (if supplied), but a miner fee will still be deducted from the transaction. A great thing about ShapeShift is that there is no “price slippage”. On other exchanges, when you place a particularly large order, the exchange rate changes based on the size of your order. In essence, the more you trade, the less your coins are worth, since the exchange runs out of favorable takers, and those further down on the order book, looking to buy coins cheap, soon get in line to buy your coins. Here, the exchange rate is fixed, no matter the amount. The ShapeShift App, released in 2015, was the first cryptocurrency trading app released for Apple’s iOS. The number of cryptocurrencies available for trading was 25 at launch and grew to 34 in a matter of days. The app is the same as the online version of the ShapeShift exchange, but it is more practical since you can use it on the go – which can prove vital if a price shift happens and you decide to make a trade at a moment’s notice. First the exchange rates, now the fees? Where does it end, you must ask? Luckily, the ShapeShift exchange does not charge any ShapeShift fees for trading cryptocurrencies. How does the company make any money then? Simple. ShapeShift’s revenue comes from the exchange rates. We have covered those already, but basically Shapeshift always looks for an exchange rate between the lowest rate and the median rate offered by other cryptocurrency exchanges out there. Since ShapeShift is significantly faster than the alternatives and since there is no sign-up process, the exchange rates, which are slightly above the lowest rates on the market, are offset by the speed, simplicity and privacy offered by ShapeShift. However, all trades must pay a miner fee where applicable, since some coins have fees for using their blockchain network. The miner fees are not something you can call “ShapeShift fees”, though, since they are set by the respective coins’ blockchains. These fees are listed on ShapeShift’s official website – each cryptocurrency has its own fee, but many have no fees at all. So, basically, you have your miner fees, which are displayed on ShapeShift’s official website and the exchange rates, which you can see and compare when you are making a trade. Pretty transparent, no? There is a well-defined minimum refund amount. If you make deposits smaller than the equivalent of 1 EUR, you cannot get a refund in case the transaction does not go through. The funds are used to pay the mining fee and the associated administrative costs. In case you do get refunded, though, you are still charged the mining fee if applicable. As a rule, be ready to pay the mining fee no matter what. Unfortunately, this is not something ShapeShift can influence. We have previously mentioned how important it is to provide the correct destination address. While there are no Shapeshift fees for transactions that go through, if you mistakenly provide an ETH address for LTC, you will need to pay an extraction fee to get your coins back. The extraction fee is deducted from your misplaced cryptocurrency, equivalent to 50 EUR. But that’s not all this ShapeShift review has in store for you. 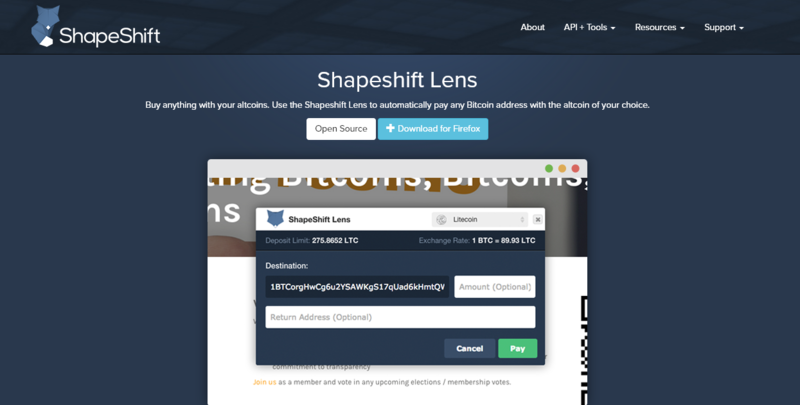 ShapeShift Lens: Just like the name indicates, the ShapeShift Lens works like a sieve or a lens, collecting a broad spectrum of coins and digital assets and converging them all into a single point – Bitcoin. Unlike the full ShapeShift exchange, it works only one way: altcoin to Bitcoin. The lens can be used to automatically pay any BTC address with any altcoin. Available as a browser plugin, the Lens instantly converts any cryptocurrency and makes Bitcoin payments for you. Once you install the extension, a small ShapeShift fox icon will be displayed next to Bitcoin addresses on various websites. By clicking on the icon, you can make payments with your cryptocurrency of choice on any website or service where Bitcoins are accepted. It makes the world more open and allows you to spend your coins without exchanging them if you want to – giving them a practical purpose and making them more attractive, too. Shifty Button: Basically the opposite of the ShapeShift Lens. While the Lens is for end-users and visitors who visit different websites, the Shifty Button is for business owners who want to make it easier for their clients to make payments in digital assets. If you have a website that accepts Bitcoin payments, you can add the Shifty Button, which lets you accept altcoins automatically. ShapeShift Skeleton: The Skeleton works as a fully-functional mini-version of the ShapeShift exchange that can be added to other websites. It lets users trade coins directly on other sites, without leaving the site. The code for ShapeShift Skeleton is free and open-source. Also, it is completely customizable, so the ShapeShift Skeleton will not stand out and can match the website’s original design. OK, so, we’ve covered the ShapeShift fees, the ShapeShift reviews submitted by iOS and Android users, the ShapeShift Bitcoin price, or rather the exchange rates. What else is there? Ah yes, the ever-popular question: Is ShapeShift safe? The question is often raised in relation to the famous 2016 hack, so, not without a cause. However, although some of the company’s funds were lost, it is important to note that users were completely unaffected. This is primarily thanks to the way ShapeShift operates. No customer info is collected. Only the addresses are exchanged, but the addresses are public anyway. The users are still in control of their own private keys and they choose whether they want to send funds to the addresses provided or not. As a consequence, ShapeShift is among the safest and the most private cryptocurrency exchanges on the cryptocurrency market. A high-level employee, nicknamed “Bob”, continuing the saga of “Florida man” plaguing the news, used his privileged access as a system administrator and the company’s own private keys to transfer a substantial amount of BTC to a separate Bitcoin address. He also sold sensitive info to hackers and installed malware on his co-workers’ computers. The hackers used the info they got from Bob and the malware for remote access to steal from ShapeShift two more times, for a total of 469 BTC, 1900 LTC and 5800 ETH stolen from the company’s hot wallets. The hot wallets are used to store coins necessary for trading – ShapeShift always has reserves of all of the coins available for trading – that is why it can trade instantly. Since ShapeShift doesn’t store its users’ cryptocurrencies and doesn’t have their info or private keys, the users were not compromised. In the aftermath, ShapeShift completely rebuilt its architecture and also acquired KeepKey, a cutting-edge hardware wallet. Most of ShapeShift’s assets are now in cold storage, and KeepKey’s security protocols have informed the company’s infrastructure. To sum up: Is ShapeShift safe? Yes. While we can say that safety is a definite plus, read the last section for a final overview of the individual pros and cons. Before we wrap this ShapeShift review up, we have to say that the option of trading fiat currencies for cryptocurrencies is not available on here, which means that you have to use at least one more exchange if you are looking for that. On the other hand, you have one of biggest selections of altcoins on the cryptocurrency market, anonymity and privacy, no hassle with registration and signups, simple and user-friendly interface and fast, easy transactions. Experienced traders often use ShapeShift to swing trade, i.e. switch between two coins as the prices fluctuate to gain profits. Even if you are not confident enough to try that, if you don’t want to create an account, if you want as little hassle as possible, if you are an altcoin enthusiast, and you need to find a way to get your hands on some of the more obscure altcoins, ShapeShift is right for you. Do not hesitate and open an account with them now if you want to trade with one of the leading exchanges in the world.